Dr. Eva Dubovsky, board certified in nuclear medicine and diagnostic radiology, has a remarkable career in medicine of over 50 years. She received her medical degree from Charles University in Prague, where she also did an internship at the affiliated hospitals and completed her residency training in nuclear medicine at Birmingham VA Medical Center. 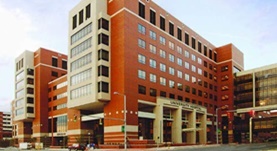 Two fellowship programs followed at the hospitals of Charles University and the University of Alabama. Dr. Dubovsky served as Director of Nuclear Medicine at the University of Alabama at Birmingham and is now Assistant Chief of the Nuclear Cardiology Section and Professor Emeritus of Nuclear Medicine at the same institution. Over the course of her career, she has contributed to several publications as well. At the time, Dr. Eva Dubovsky practices at the University of Alabama Hospital. Dr. Eva Dubovsky has contributed to 3 publications. On the mechanism by which chloride corrects metabolic alkalosis in man. Rosen, R. A., Julian, B. A., Dubovsky, E. V., Galla, J. H., Luke, R. G.; Am J Med. 1988 Mar. The value of CT in determining potential instability of simple wedge-compression fractures of the lumbar spine. Campbell, S. E., Phillips, C. D., Dubovsky, E., Cail, W. S., Omary, R. A.; AJNR Am J Neuroradiol. 1995 Aug.
Renal function and imaging studies. Dubovsky, E. V.; Clin Nucl Med. 1981 Oct.